Just last month, Data Domain – and dedupe technology – officially crossed the 10-year mark. It’s not often that a product or a technology completely reinvents an industry, but with over 33 million tapes replaced and 26 exabytes of data now protected by Data Domain systems, that’s just what Data Domain and EMC did to backup. In fact, last year Data Domain systems shipped with more capacity than in the first eight years combined, proving that customers are finding more value in these systems than ever before. In early 2006, there were still only two vendors shipping deduplication products: Data Domain and, interestingly enough, Avamar. Just a year later, over 20 vendors had jumped on the bandwagon offering various iterations of “deduplication” products. Some were, in fact, just data compression or “Single Instance Storage” (SIS) products, but the fact that everyone hung the deduplication label on their products showed how hot the technology had become. 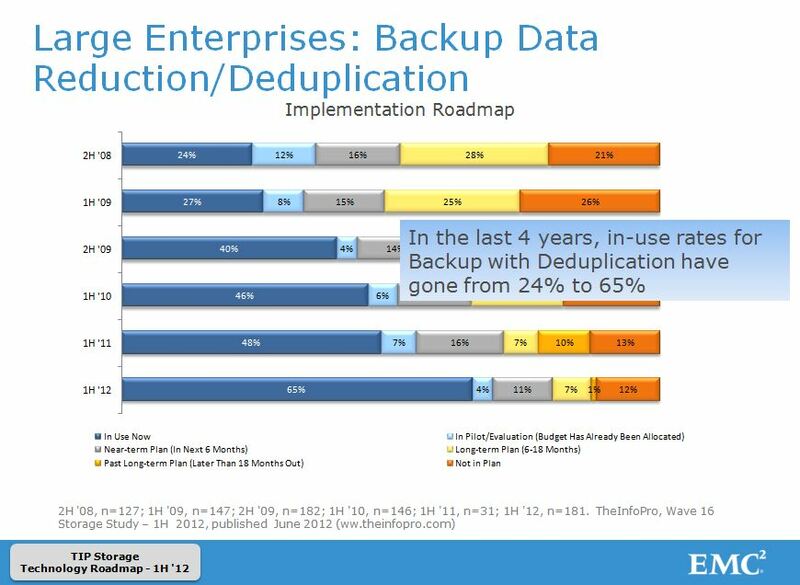 Even if you really didn’t have a deduplication product to sell—you still at least had to have a deduplication story (sometimes it was just an explanation of why you couldn’t do it). Customer adoption rates reflect exactly what was happening. Since that inflection point in 2006, Data Domain systems continued to rack up a series of industry firsts. Some of the game-changing milestones along the way included the first deduplicated replication for backup data to enable automated network-efficient DR, “Data Domain Boost” for advanced integration with applications and to distribute deduplication to the backup server, and the first inline deduplication to support retention for compliance. During that same time period, Data Domain systems had become 95% more power efficient—saving enough energy to power 180 enterprise data centers! Over the decade, users voraciously gobbled up Data Domain systems (check out the infographic) and disk-based backup appliances with deduplication became a multi-billion dollar business that IDC crowned the “purpose-built backup appliance market.” But perhaps most importantly, customers were finally able to meet their backup windows, reliably and quickly recover their data, stop shipping tapes offsite and keep ahead of the data growth explosion that was taking over their data centers. Backup admins also started sleeping at night, and could no longer be identified by the number of circles under their eyes. Unlike your average child star, we’re not retiring at the age of 10; the innovation on Data Domain systems is just getting started. 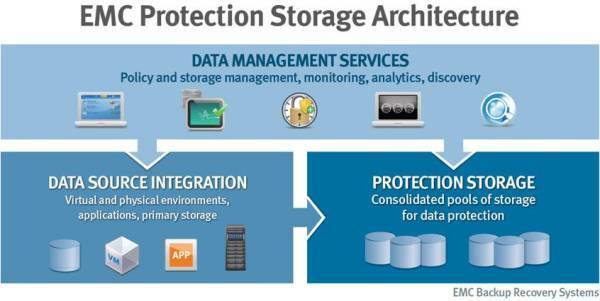 As we start the next decade, Data Domain systems will continue to revolutionize the storage industry as the flagship protection storage platform in the EMC Protection Storage Architecture (depicted below and described here) with a focus on backup, archive and DR. The next decade of innovation is just getting started…. Check out some fun photos from the early days.